We are often asked what the difference is between our products for people with dementia and Alzheimer’s and the basic materials that you can buy off the shelf. In many cases, the “core” of the activity is a familiar, common item, and in fact, that’s one of the benefits. People are more comfortable around familiar items and will often have an automatic, pleasurable response. 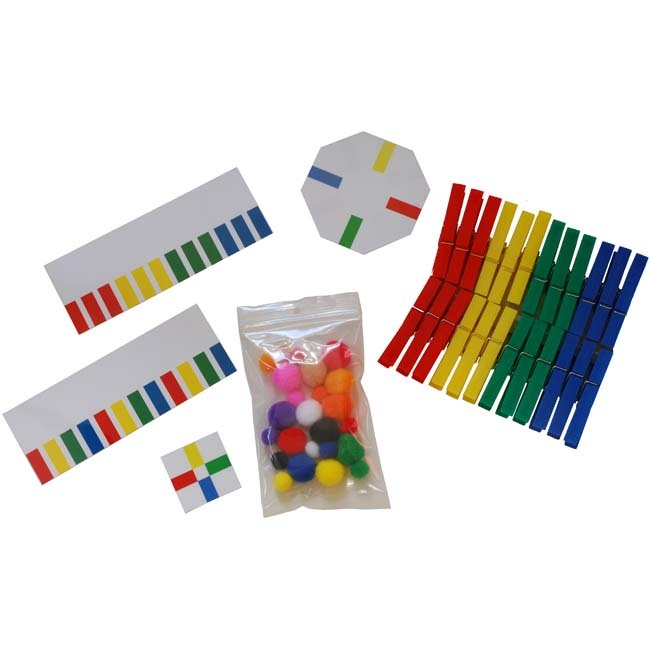 The more familiar the materials are to the person, the more they will "connect" with the items and the more opportunity there is for reminiscing and having a successful and meaningful activity. The challenge is that many people with dementia are no longer able to do the things that they used to do, such as play complex card games, do a jigsaw puzzle or play a board game. If you dump a jigsaw puzzle on the table, even one with fewer pieces, it is quite possible that the person will become frustrated because they are unable to do it on their own. Someone who used to enjoy crosswords or word search puzzles may have stopped doing them because they were no longer satisfying. That’s where activities designed for people with dementia come in. Well designed activities for dementia use the same (or modified) materials but also include templates, guides and “sequencing” to help guide the person to success. They are designed to allow you to offer more or less assistance, depending on the person’s abilities or even their mood on that particular day. Our activities do just that and include instructions that detail how to present the activity and how to proceed depending on the person’s reaction to each step. If you have the time and inclination, you can do the same on your own. 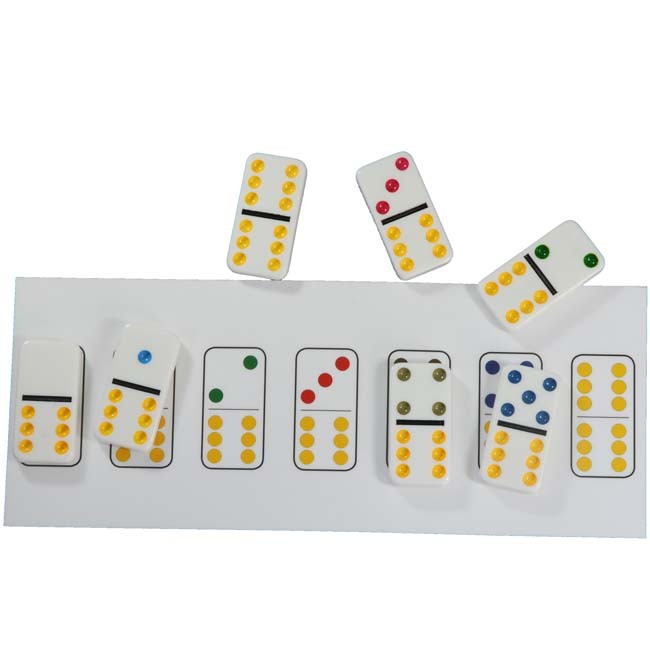 Start with an item that is familiar to the person, then break down the steps required to get to the end result (a completed puzzle, a finished painting, a game). Create templates or guides as necessary to help the person be successful at each step. When presenting the activity, it is important to remember not to go too fast. The objective is not to complete the activity, it is to engage the person successfully. Here are two of our more popular products and a description of how you can do it yourself. If you prefer to buy activities pre-packaged and ready to go, compete with detailed step by step instructions, you can find them on our website. Almost everyone is familiar with playing cards, and drawing on that familiarity can help stimulate cognitive ability and provide many happy activities. Start by familiarizing the person with the red and black suit colors. In our Match the Suits activity, we use laminated red and black templates. Start with only a few cards and have the person sort them by color, offering more cards as they are successful. Once the person can sort the cards by color (and only if they are able to do it easily), introduce suits. We use laminated templates of each suit, starting with one red and one black suit only. Again, use only a few cards to start. Once the person can sort two suits, offer a third and finally the fourth. Don’t push the person beyond their comfort level – it’s better for them to be successful than to become frustrated by moving too fast or too far. The final step is to introduce the concept of “rank”. Put an ace on the table, then put a two of the same suit beside it and then a three. Ask the person to continue sorting the cards. Repeat this with the other suits. 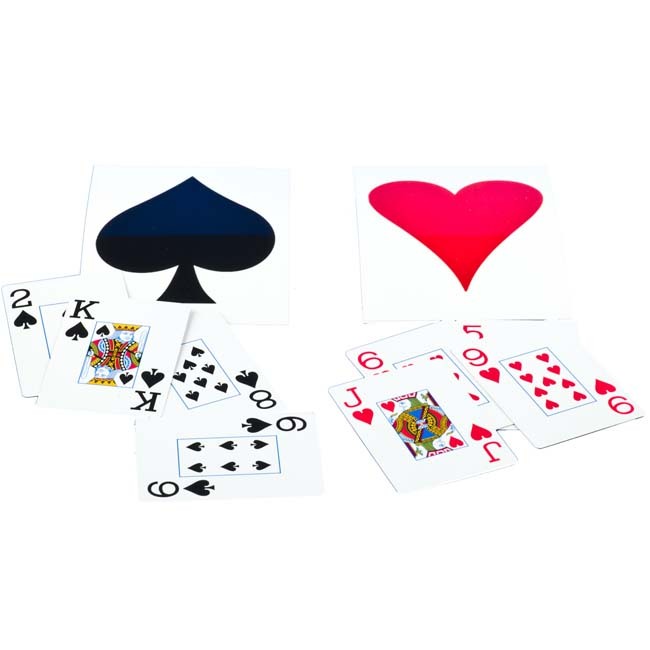 Once the person is familiar with the suits and rank you can try playing simple card games such as Elimination. 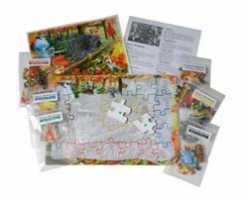 If you prefer a ready to go activity, our Match the Suits activity includes two decks of large index (easy to read) cards, templates and full instructions for the activities and three card games. Jigsaw puzzles are a favorite pastime for many people and they can be an ideal activity for someone with dementia or Alzheimer’s when presented properly. One way to do this is to present the pieces in an orderly fashion rather than just dumping them on the table. Most people put together the borders of the jigsaw puzzles first, and we can build on that. Rather than offering all of the pieces at once, try offering only a few consecutive border pieces. Once the person has put those together, offer a few more. Continue in this way until the border is complete, then offer the pieces that make up a small section of the inside. Continue in this way, always making sure that the person is not getting overwhelmed or frustrated. Another option is to put the puzzle together and then trace the outline of each piece in position on blank paper. Using this template, offer the person pieces in groups as above, but this time you can also show them the area on the template where they fit. Our Sequenced Jigsaw Puzzles go one step further. The pieces are color coded and come in separate bags that correspond to the matching colored template or tray. Our 35 piece Sequenced Puzzles have a tray with each piece outlined in the matching color while our 60 piece puzzles use color coded templates. The 24 piece Adult Coloring Puzzles also use a template and have the added benefit of coloring the puzzle once complete. 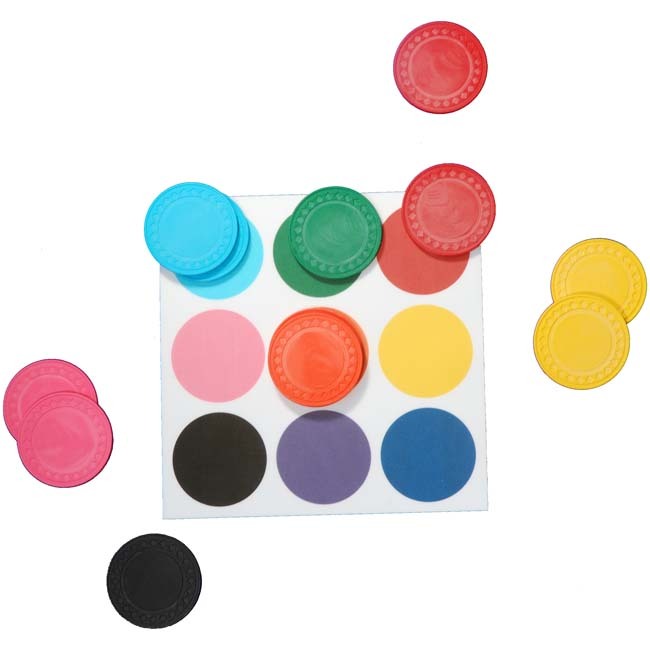 On our website you will find many other examples of activities that use a household or common item as the core of the activity, including colorful clothespins (Match the Pins), dominoes (Match the Dots) and poker chips (Match the Chips). You can use any materials that are familiar to the person as the basis for fun and satisfying activities. Put some thought into any stumbling blocks that the person may have in being successful, and then find a way to provide guidance that allows the person to do it on their own.